UK and European strategies to cut down on plastic waste have sent ripples through the retail and consumer goods industries this week, as a number of large companies have responded with pledges to reduce plastic waste in their operations. Among them, frozen food specialist Iceland has pledged to make all its own-brand products (around 1,400 different items) plastic free within the next five years, with Managing Director Richard Walker referencing the Attenborough Effect and Blue Planet II’s devastating scenes of plastic pollution in a statement released this week (16 January). The announcement comes hot on the heels of the government’s 25 Year Environment Plan (25YEP), launched last week in a speech by Theresa May which focused heavily on the “scourge” of plastic waste. Its headline commitment is the elimination of all ‘avoidable’ plastic waste by 2042, to be achieved through measures across the plastics life-cycle, including an extension of the plastic bag charge to all English retailers. The government will also be working with retailers and the Waste and Resources Action Programme (WRAP) to introduce ‘plastic-free supermarket aisles’, though as yet there are no concrete plans as to how this can be achieved on a national level - historically, the Department for Environment, Food and Rural Affairs (Defra) has favoured voluntary commitments from retailers over making legislative change. 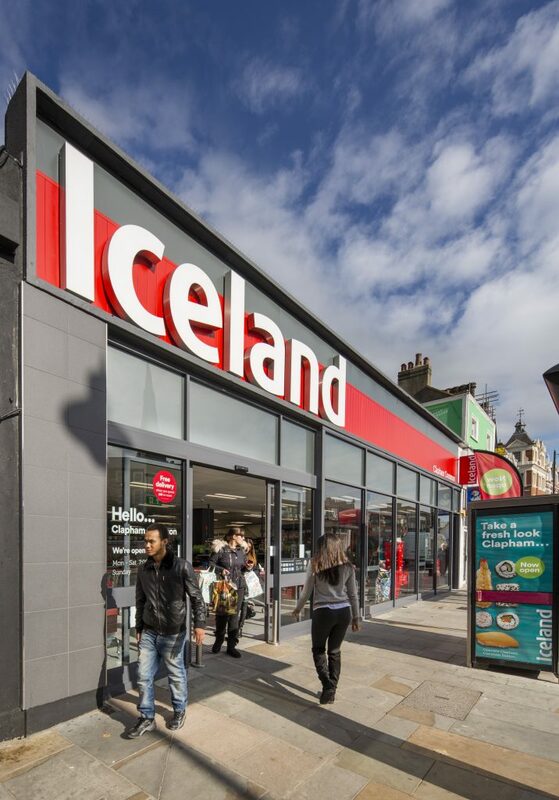 Iceland stated it will ‘harness the latest technologies to create a range of packaging comprising paper and pulp trays, along with paper bags, which are fully recyclable through domestic waste collection or in-store recycling facilities’. Walker also restated the company’s support for a deposit return scheme (DRS) in England to recycle plastic bottles, something recently backed by Tesco. May said the government would be looking at the evidence for and against a DRS this year. Public opinion certainly seems to be leaning in that direction, too: a survey commissioned by campaign group A Plastic Planet revealed that 9 out of 10 people want a plastic-free aisle in the supermarket. And the past week has seen more and more companies announce plastic-free pledges of varying degrees - restaurant chain Wagamama on Tuesday said it would be replacing single-use plastic straws with a biodegradable alternative from 22 April, a product which JD Wetherspoon banned in September last year. From September this year Waitrose will also no longer be selling packs of disposable straws. 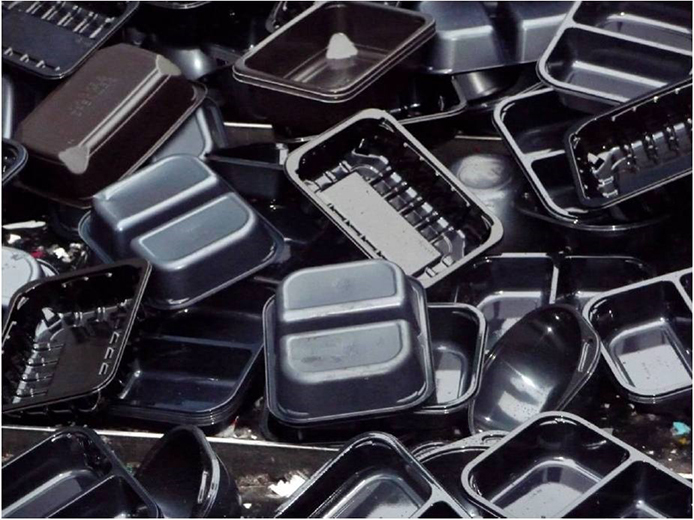 Black plastic trays cannot be detected by sorting machines. In addition, Waitrose has announced it will be phasing out black plastic trays in its own-label meat, fish, fruit and veg by the end of the year; the trays are technically recyclable but create issues in sorting as the carbon black pigment used cannot be detected by sorting equipment. Tesco has published updates to its ‘Little Helps’ campaign for healthier living, committing to making all packaging recyclable or compostable by 2025. Also this week, drinks company Evian pledged to adopt a ‘100 per cent circular approach to plastic use’ by 2025, looking to redesign its packaging using purely recycled plastic. The company, which previously announced a goal of becoming carbon neutral by 2020, will be working with governments, local authorities and circular economy charity the Ellen MacArthur Foundation to promote the concept of recycling and reuse. McDonald’s has also promised to make changes, announcing that by 2025 all of its ‘guest’ packaging will come from recycled, renewable or certified sources, and that this will be recycled in 100 per cent of McDonald’s restaurants globally. This comes as an addition to the company’s pre-existing aim that by 2020 all of its fiber-based packaging will be made from environmentally friendly sources. With retailers seemingly queueing up to release news of their latest green pledges, only time will tell as to whether words are translated into results. Individual promises from different retailers are one step, but Ray Georgeson, Chief Executive of the Resource Association, has called for “real time specifics, targets and legislative underpinning” from the government to bring about much-needed change. Scottish Environment Secretary Roseanna Cunningham proposes a ban on the sale and manufacture of plastic-stemmed cotton buds. Does Wetherspoon’s ban signal the end for plastic straws? JD Wetherspoon has promised to remove single use plastic straws from all its pubs by the end of 2017, becoming the latest bar chain to move towards more sustainable drinking. Tesco has launched a new collection scheme for hard-to-recycle plastics in partnership with Swindon reprocessing company Recycling Technologies.